Perdue’s legal team are sure to be busy for years to come, thanks to another state suing the pharmaceutical company responsible for pushing the addictive opiates that have become an overwhelming nightmare for nearly every government agency in the US. Massachusetts state attorney general Mara Healy wants her state to be listed along with the rest of angry cities and states ravaged by the pharmaceutical companies reach. “Their strategy was simple: The more drugs they sold, the more money they made — and the more people died,” Healey said at a news conference last week. In an almost 80 page civil suit filed in Suffolk county Superior Court that documented the alleged wrongdoing and the elaborate effects on the citizens of Massachusetts. Citing information from the Department of Public Health, MA has lost over 11,000 residents to opioid related overdoses from 2007 to 2017. 2,000 of those deaths occurring in the last year alone. 671 of those people had filled opioid prescriptions from Perdue Pharma. The new legal complaint estimates that the 671 deaths that Massachusetts connects to Purdue cost the state more than $6 billion. Since the year 2007, a year in which Perdue executives pleaded guilty to misbranding OxyContin, Salespeople from the manufacturer met with Mass. Prescribers and pharmacists more than 150,000 times according to the lawsuit. The pharmaceutical company is denying the lawsuit’s allegations. “We share the Attorney General’s concern about the opioid crisis. 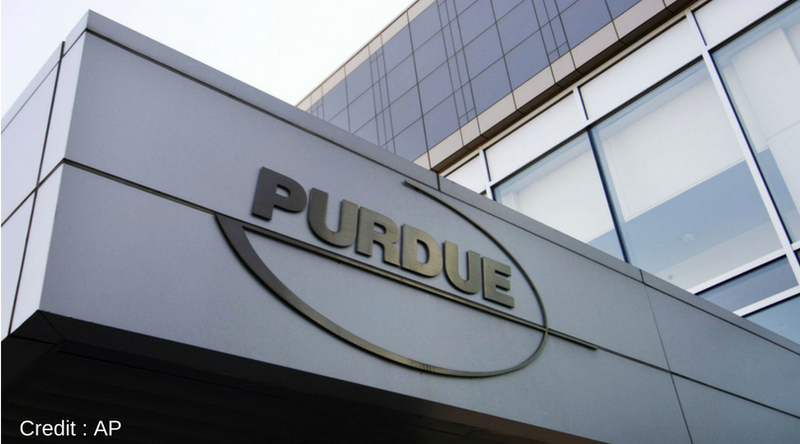 We are disappointed, however, that in the midst of good faith negotiations with many states, the Commonwealth has decided to pursue a costly and protracted litigation process,” Purdue Pharma said in a statement. But cities, counties and states across the country aren’t buying it, and have now decided to hold the drug pushers accountable for their part in the epidemic. At this rate it would be hard for any judge not to see the impact the company has played in the hundreds of thousands of deaths that have occurred since the endemic began. “By the mid-2000s, there was simply no debate about whether or not these pills were causing chaos, heartache and death across the Commonwealth and across the United States,” Gov. Baker said at the news conference Tuesday.